World Mental Health Day is observed on October 10 every year. The objectives are to raise awareness of mental health issues around the world and to reflect on what is and isn’t working with regards to supporting mental health. Having made my way through the mental health system over the past year to get help with PTSD and panic disorder with agoraphobic tendencies from a severe car accident, there are a lot of things that I think need to be changed. In this post, I will discuss in detail what I think the main issues are with mental health care here in the US, and what some of the solutions might be. I will also talk about what has gone right with my treatment. 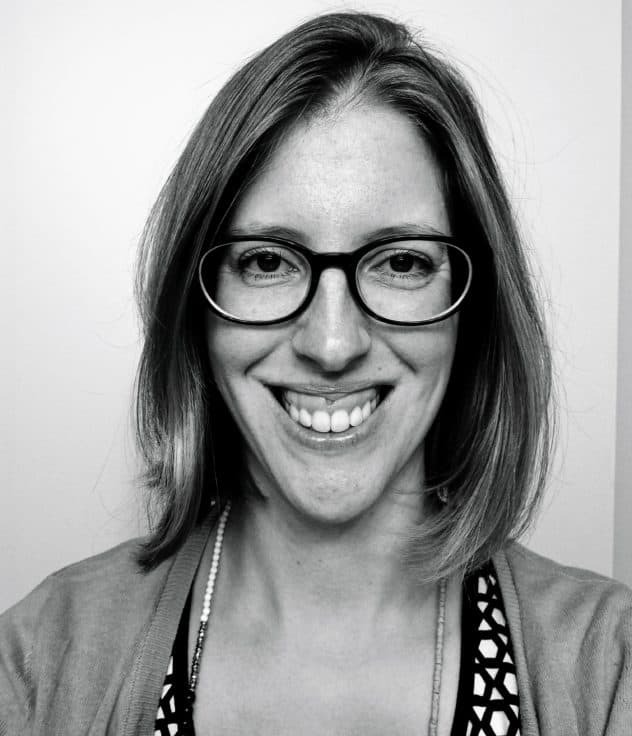 I am hoping this post doesn’t come off as all doom and gloom, but I am a scientist by training and tend to have a very objective viewpoint that includes the good, the bad, and the ugly :). This post was written more as a stream of consciousness, so hopefully it all makes sense! Co-pays. In my opinion, co-pays should be on the order of $5. Generally, when you meet with a therapist, you are either meeting weekly or several times a week. Costs quickly add up when co-pays are $25 or more. Health insurance companies need to subsidize more of this cost to reduce co-pays. Providers don’t accept insurance (car or medical). So, I ran into A LOT of these issues. Because my mental illnesses were sustained in a severe car accident, that is who gets billed as the primary insurance. However, there are many therapists and psychiatrists that wouldn’t even take me on as a patient, knowing that I had an open car insurance claim for medical bills (nothing was in litigation even). I understand that not only is there a lot more paperwork that needs to be done, but I am unsure of what the issue is here. The only thing I can think of, is having to submit session notes when the patient is being cross-examined by an independent medical examiner chosen by the car insurance company. Maybe this could put a strain on the patient-provider relationship? I don’t know. Regardless, this situation made it MUCH harder for me to find a mental health professional that would even at least talk to me. The second thing I encountered when looking for a mental health professional, is that a lot of them didn’t accept medical insurances. This means you will never get the in-network rate. You could submit your bills for reimbursement after the fact, and try to recoup some of the cost if you had out-of-network benefits. But the reimbursement was low, leading to high out-of-pocket costs. I saw this mostly with psychiatrists and psychologists. There was also the hassle of having to fill out paperwork and submit it, which is difficult to do if you are really sick. I am not sure what the reason is for not accepting insurance, but you don’t really see this with any other medical profession in the US other than homeopathic doctors. I wish this practice would end, so that care is more affordable and accessible to people, while at the same time making sure that mental health professionals are fairly compensated for their work. It’s a delicate balance. Require mental health professionals to accept car and medical insurances to make care more accessible and affordable. Accessibility. One of the main problems I encountered early on was accessibility of mental health services. Because my main issue was agoraphobia and a driving phobia, I literally could not get to an appointment. When I lived in Central New Jersey, I could not find anyone to drive me to the first few appointments so that I could meet with a psychiatrist and start medication. Additionally, the psychiatrists were unwilling to either do a Skype appointment or do a home visit. All of these factors made it impossible for me to get care for 6 months, over which my health deteriorated rapidly to the point where I was forced to leave my high-paying job and break my lease agreement. Once I made it to South New Jersey, I had a friend that graciously took me to my first appointment, which allowed me to get the help that I needed to start my recovery. Provide safe, free, and reliable transportation to/from first few appointments with a mental health professional for those who are too ill to make it there. Provide a compassionate support person (free of charge) for those who don’t have someone to come with them to their first few appointments if they need support. Provide the option of telemedicine for the first few appointments until the patient can make the journey themselves. Provide the option of a home visit if the patient is unable to leave the house. Health insurance. Anyone who has a serious chronic illness can tell you that navigating health insurance benefits is a nightmare. It typically involves multiple phone calls, many surprise bills and misunderstandings, to finally figure out how it all works. When someone with mental illness is initially trying to get help, navigating such a system becomes overwhelming immediately. I would have multiple panic attacks trying to figure out exactly what my benefits were, how to schedule an appointment, and who to schedule it with. A little fun fact about my insurance, which I discovered the hard way, is that my mental health benefits are a carve-out. What that means, is that my health insurance has nothing to do with my mental health care, other than paying the bill. They contract out to a different company that maintains the provider lists and coordinates the benefits. The best part? On my health insurance website, you can actually search for mental health professionals to see who’s covered but it’s actually a fake list. What you are supposed to do, but no one tells you, is that you have to go to the third-party company and look at their list to see who’s covered. Tricky huh? Instead of displaying a message on the screen that you need to navigate to the third-party website to see who’s covered when you search for a mental health professional, they display a fake list of providers. What I wish would happen, is that you call your health insurance and explain that you need mental health care services. They then assign you a point of contact that handles everything from navigation of insurance to even scheduling out the first few appointments and arranging transportation if needed. Basically, someone who can do all of the heavy lifting up front. Because generally by the time you are seeking out mental health services, you are pretty sick and the whole process is too overwhelming. Having someone that can take care of all of this stuff initially would be immensely helpful. Another issue I have heard about, but that is not a current issue with my insurance, is a cap on the number of times you can see a mental health professional in a calendar year. This is very harmful to the patient. Many mental illnesses require constant maintenance therapy to stay healthy. And in the beginning, the patient might be seeing a provider more frequently until they are stable. There shouldn’t be a limit on the number of visits. Ban mental health benefit carve-outs by health insurance companies. Assign a care coordinator (free of charge) to handle navigation of insurance benefits, navigation of provider network, scheduling of first few appointments, and coordination of transportation to/from appointments if needed. Expand provider networks to include everyone in a geographic location to increase choices. End limits on number of allowed therapy sessions within a calendar year. Workplace Policy & Support. When my mental illness first started, it was very difficult for me to be productive and engaged at work. Dealing with my condition, and trying to navigate my health insurance benefits was stressful enough. On top of that, I also worked in a high-stress job, and this made it impossible for me to recover in that environment. With that being said, I think there are some things that employers could be doing to support employees with mental illnesses. As of now, almost 35% of people receiving disability do so because of mental illness, and that number is growing. I sincerely believe this number could be greatly reduced with more support in the workplace. Employers should be open to providing reasonable accommodations, including 100% telecommuting roles. It might be that the employee would recover in a better geographic location other than the one that the employer is located in. Employers should provide relaxation rooms for decompression, where people can do yoga and meditate without any interruptions. ALL employers should be required to provide long-term medical leave benefits to allow for recovery. Mental illness recovery is on the order of a few years, much longer than the 12-week coverage afforded by FMLA benefits or a short-term medical leave. 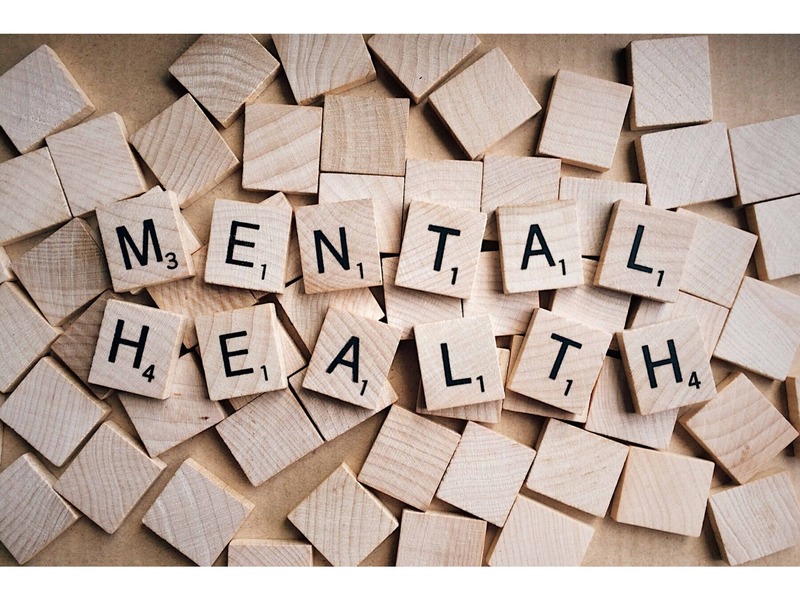 Employers should provide education to all employees about mental illness, their rights under the ADA, points of contact for questions regarding the ADA, and what their mental health benefits are according to their plan. Additional training should be provided to managers about how to effectively manage employees with mental illness. Penalize employers for discrimination against employees who have taken off extended periods of time to attend to their mental health. Create programs that help people re-acclimate to an 8-hour workday after being out for extended periods of time. A program where the returning employee is assigned a mentor that helps them re-assimilate. The program could start the employee at 1-2 hours a day, then increase gradually to a half-day, and then a full 8-hour day if possible. If not, then offer part-time or 3/4-time work with full benefits at a reduced salary. Have more 100% telecommuting roles and less business travel. All mental illnesses are more easily managed at home than they are in the workplace. Nearly all people with mental illness can be productive employees with basic and inexpensive accommodations. Pharmaceutical Companies. I am going to be blunt here: the medications available to people with mental health issues are ineffective, and come with serious and sometimes life-altering side effects. Medications for mental illness are unique in the sense that start-up and withdrawal are so bad, that people oftentimes have to take time off from work to deal with it. This shouldn’t happen. Many of the medications I have tried have caused me to be up all night and restless, suicidal thoughts, worsening agoraphobia, depression, chest pain, constipation, weight gain, random twitches and jerks, nausea, diarrhea, indigestion, etc. I could go on and on about the side effects. And there are many different categories of side effects with these medications. There are start-up, short-term, long-term, and withdrawal side effects. Do you get that with a Tylenol? No. With an antibiotic? No. I’ve had people tell me that all medications have side effects, even Tylenol. Yes, of course all medications have side effects. But if Tylenol came with common side effects of mania, suicide, 90 lbs of weight gain, heavy sedation, tardive dyskinesia, etc. I guarantee most people would steer clear of it. The government needs to put regulatory pressure on pharmaceutical companies to develop better and more targeted medications without the crazy side effects. We also need to invest more money into research to better understand the origins of these illnesses, and what other treatments might be effective. Put regulatory pressure on pharmaceuticals to develop more targeted medications without the side effects. Fund more medical research into understanding the origins of mental illness, and how the medications work/don’t work. Put regulatory pressure on researchers and pharmaceutical companies to examine long-term (e.g., years) effects of these medications. A lot of the studies I have seen have focused on the 4-12 week mark, which is when the medication just starts to work. I know the previous section was filled with a lot of improvements, and on the surface it might seem a bit pessimistic and harsh. But changes can only happen by honestly critiquing a system, and noting the flaws and what possible solutions would look like. I also briefly mentioned some of my experiences, and unfortunately they are not unique to me. Many people have had similar experiences, or some that are worse. I want to use this next section to discuss what has gone right for me, and the wonderful people and communities that have been instrumental to me still being here today. My friends & family. When I was at my sickest, some of my friends from South New Jersey came and got me. By that point, I struggled to keep myself clean, and to even make myself a sandwich. I was too sick to even pack up my apartment to move. I was practically on the floor by the time they got there. Once I went with them, I was in a wonderful and supportive environment with my best friend and her family. My best friend suffers with similar ailments, so I was with people who had extraordinary levels of empathy and compassion. As I look back, this is what saved my life. I was allowed to grieve and suffer, without any judgement whatsoever. When I would go for a drive, or try going into a store, I always got support and encouragement. If I was eating dinner with them and I had a panic attack and had to leave, it was never a big deal. I was allowed to heal at my own rate with the best support and love imagineable. I was also in a great environment to really start therapy and new medications. My friend’s mom came with me to some of my appointments in the beginning to get me started, and then I was able to take it from there. She also was with me in some of the first stores I went to. Without this, I don’t think I would’ve started on the road to recovery. My friends from South New Jersey also helped me move back to NY where my family was. Once I got back to NY, I was able to reconnect with my other friends and family who have helped me through other parts of my recovery and push my boundaries even further. There’s still a lot of work to be done, but what I am trying to say is that unconditional love and support is critical to recovery. Once I was in an environment where I knew I was cared for, my mood healed enough so that I had enough energy and mental stamina to tackle therapy and exposure therapy. My NY psychiatrist. I tried to get into a psychiatrist in Central New Jersey for 6 months, and never made it. During my first medical leave of absence, I went back to NY and was able to see a wonderful psychiatrist who scheduled an emergency appointment with me the next business day. I credit her for also initially saving me. While the medication ended up not working and I did have to leave my job, I had someone who was determined to help me get better. Through trial and error and also genetic testing, we were able to find a more suitable medication that has me moving in the right direction. While I still have a ways to go, progress is being made slowly, and any steps back are now much smaller and less frequent. This psychiatrist was also telemedicine certified, so I could have an appointment regardless of where I was. This psychiatrist was also the one that helped me get into yoga and into meditation, both of which have been very helpful. Her approach attacks the problem from every angle, which is something I really like. My South New Jersey & my New York therapists. These two therapists have also been life-saving for me. Both of them are really good at what they do, and have helped me out immensely, in terms of helping me understand my feelings and my grief over what has happened. Both of them have treated me without judgement and with only kindness and compassion. They both give me homework assignments to complete, that includes exposure therapy sessions. And in cases where I am not able to complete the homework, they are understanding and provide encouragement to work on it for the next session. The therapist I have in NY now helps me practice my driving which has been really helpful. Having a therapist that is supportive and understanding is so critical to recovery. A good therapist is essential, because in your therapy sessions you are frequently digging into trauma and other bad feelings that are very hard to deal with. Social media communities. I have found a lot of solace in the social media mental health communities that I am a part of on Instagram and especially, Twitter. I have enjoyed interacting with many people there, and learning about other people’s stories and battles. I also love reading about different recovery strategies and what’s helped people and what hasn’t. A lot of people also put out motivational and inspirational posts which has been helpful on some of my tougher days. I have resisted Twitter for so long, and I regret not joining it sooner. Connecting people with similar stories has made me feel a lot less alone, and has normalized my condition in a sense. In my brief experience in navigating the mental health care system, there are many improvements that can be made to support and treat those with mental illness. The way in which we are tackling the problem is clearly not working, as the rate of mental illness is climbing. Over a third of people on disability are on it due to mental illness. This doesn’t need to be the case at all, and is a solvable problem. Every segment of society could use improvement: health insurance companies, mental health professionals, pharmaceuticals, and employers. While this list is not inclusive, these issues are the ones that I have seen and experienced directly over the past year. One only needs to look at how we treat mentally ill people in psychiatric hospitals to understand and grasp the lack of empathy and education on mental illness. I think the stigma attached to mental illness can be summed up nicely with the following scenario. Imagine a person who is terminally ill with cancer who is stuck in bed. In these instances, we generally offer them prayers and unwavering support. Now imagine a person that is stuck in bed because of their depression, or because their anxiety is so bad that they can’t leave the house. Initially, there might be some pity (which is different from sympathy, empathy, and compassion) for the person, but then we quickly tell them to ‘get over it,’ ‘stop being lazy,’ or ‘it’s all in your head.’ The symptom is the same, the person is stuck in bed, but the causes are different, and the response of friends, family, and coworkers is very different. Next time someone is incapacitated by their mental illness or is struggling, instead of telling them what to do based on what you think you would do in that situation, ask them how you can help them or support them. Readers: A question was posed on Twitter by @lets_stop_here that I really liked, and thought you would as well. The question is: “What is a myth about mental health that you wish didn’t exist?” Let me know in the comments below! 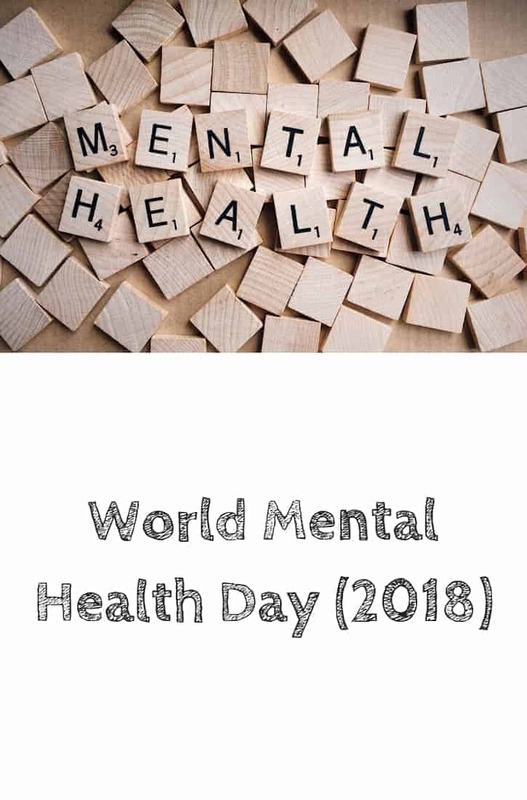 This day, each October, thousands of supporters come to celebrate this annual awareness program to bring attention to mental illness and its major effects on peoples’ life worldwide. This is really important for all of us to stay aware and spread awareness about mental health. It was great to know more details by an expert like you. Great information here. Good more and more people are talking openly about mental health and the importance of paying attention to it.